Sweet treats have forever been an alluring temptation. Many of us experience that compelling urge to say ‘yes’ although our body does not allow it. The world must be having millions of such sugar addicts. Things only become worse if such addicts are diabetics too. 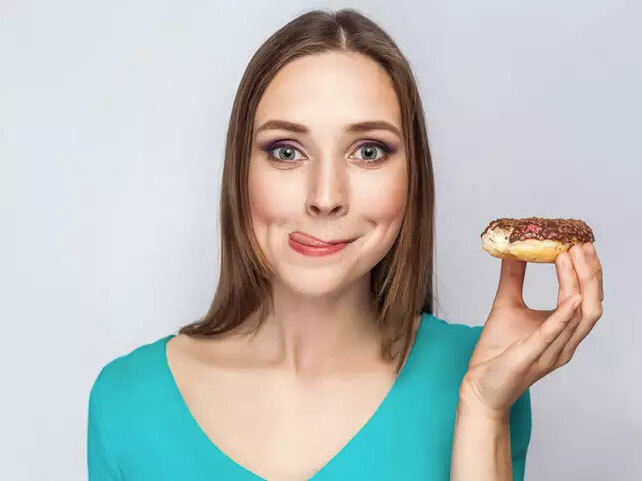 If you learn how to curtail the cravings, you would probably be able to escape the vicious cycle of satiating your cravings, sudden spikes in blood-sugar level and subsequent crashes. Thus, by habituating your body to healthy nutritional food, you will be able to reduce cravings as well as risk for diseases such as diabetes, cancer and obesity. It has been well established that the desire for sugar consumption and processed foods can be addictive. A recent study, conducted by a team of scientists from Connecticut, USA, confirmed abnormal behaviour of rats due to the damaging impact of popular cookies on their brain and the central nervous system. It has been observed that sugar consumption through processed food can stimulate the brain’s ‘feel good’ region by secreting the pleasure neurotransmitter and we crave for more feel-good feeling, leading to unnecessary addiction. Rather than plunging into more processed foods to get that feeling of happiness, you might as well boost the secretion of serotonin aka ‘happiness hormone’ through a balanced diet, exercise and right scheduling of sleep. Contrarily, if you are able to produce enough serotonin, it is believed that your cravings for sweets may reduce to a great extent. Jaggery can well be the best possible choice that can control your glycaemic index fairly well. Artificial natural sweeteners can be better alternatives to meet your sugar cravings as they do not raise your blood-sugar level. Also, they are required in very less quantity, being 300 times sweeter than sugar. With a sudden trigger of your sweet cravings, you may think of having something sugary. On the contrary, your body is demanding water. The solution for this can be a delicious lemonade or a cocktail of your choice prepared with jaggery or an artificial sweetener and water, which can be very helpful as a craving-buster. Scientists and physicians suggest that foods rich in carbohydrates (such as cereals, pasta, breads and desserts) can increase the glucose levels in your blood. Hence, your eating plan must focus on the type and amount of carb intake so as to maintain the glucose levels in the normal range. Food items that are raw, cooked or roasted help in adding flavour as well as texture to your meals. You can opt for mushrooms, onions, tomatoes, sprouts and zucchini, to name a few, as they can be taken directly or mixed with other foods. Green vegetables are considered one of the finest low-carb options as they are not only healthy but also serve as a source of protein in your diet. Spinach and kale are good examples. You can add olive oil to roasted veggies and make healthy food even more delicious. Karela or bitter gourd has an insulin-like compound called polypeptide-p which helps in controlling diabetes. Doctors suggest eating karela more often in order to increase the uptake of glucose and improve glycaemic control. Common home remedies for diabetic patients such as soaking fenugreek seeds in water overnight and then consuming two spoonfuls of it the next morning is highly considerable too. That said, there are several alternatives to increase natural glucose intake and make your body more responsive to insulin. Eating healthy consistently and exercising regularly are key.